In addition, on the same day, together with the guests, we participated in the Tour d’Europe Dissemination event, summarizing the activities of the RISE Group (Research, innovation, and science policy experts group), which advises the Commissioner for Research, Science and Innovation, Carlos Moedas. 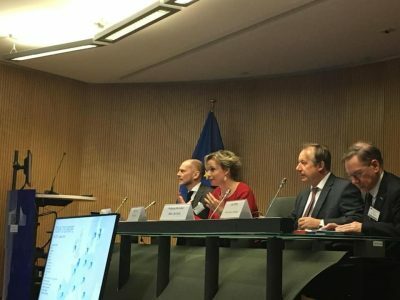 The event was devoted to key ideas in the field of European research and innovation, described in the publication 101 Ideas on the future of Research and Innovation in Europe. Individual sessions concerned inspiring ideas in the field of European values, impact on investments, synergy or community initiatives. It is worth adding that the introductory and final word was given by the head of the RISE group, dr Daria Tataj. 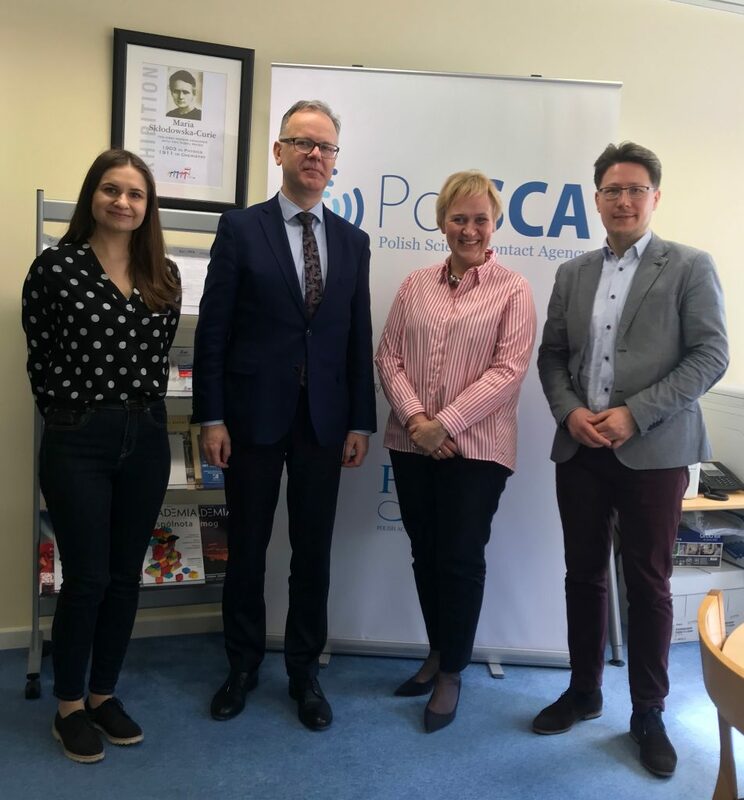 Furthermore, on March 7, 2019, the PolSCA office was visited by prof. Paweł Rowiński, vice-president of the Polish Academy of Sciences. 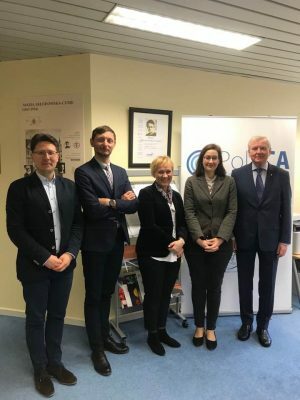 The meeting was an excellent opportunity for a more detailed presentation of our activities and get acquainted with the specificity of the functioning of the Polish Science Contact Agency.